1. 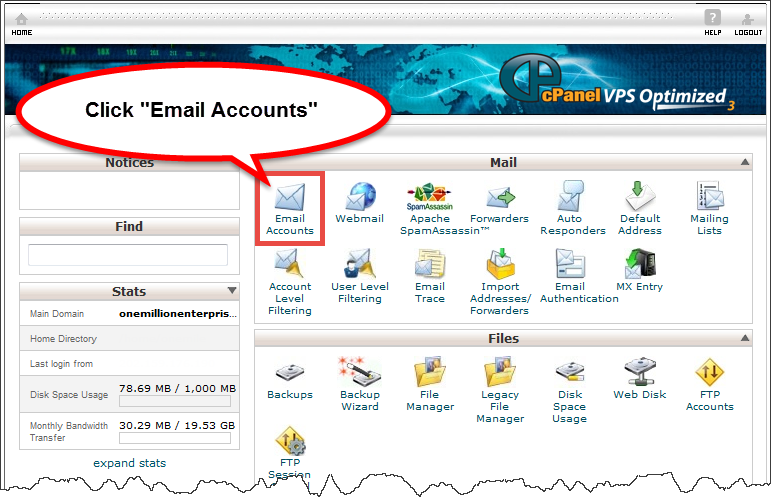 Log into your cPanel Hosting Account. 2. Click on Email Accounts in the Mail section. 3. 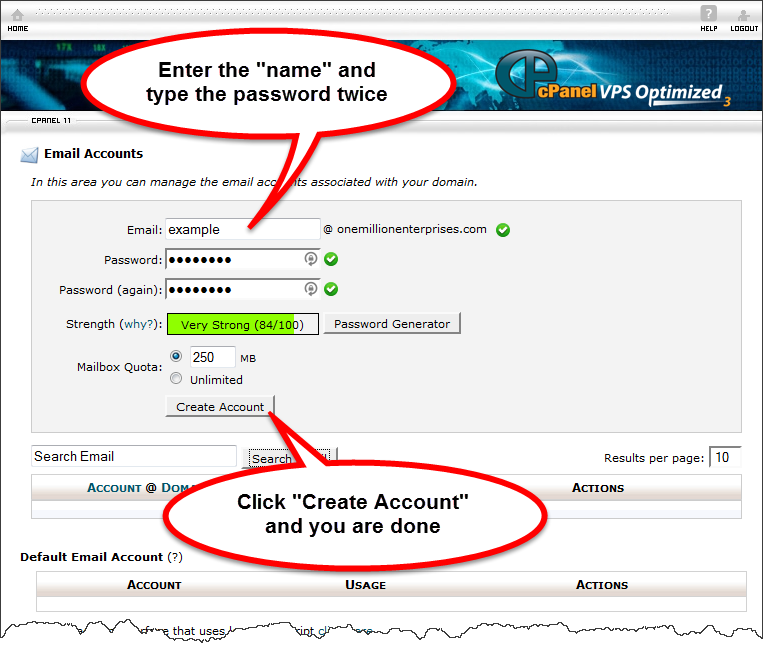 Enter in the name of the new Email Account and type the new password in twice. 4. Click on Create Account and you are finished.